Former two-division champion Devon Alexander (27-4) snapped a two fight losing streak when he defeated Walter Carrillo (26-5-1) last month in Florida. The bout topped a Premier Boxing Champions on FS1 bill and was Alexander’s first ring appearance in over 2 years. Another fighter coming off of a long stint of inactivity is Lamont Peterson (35-3-1) who will return from an 11 month layoff on January 20th when he faces IBF welterweight champion Errol Spence (2–0) at the Barclays Center in Brooklyn, NY. In his last fight, Peterson won a twelve round unanimous decision over David Avanesyan to capture the WBA "regular" welterweight title. He vacated that belt to secure the opportunity to fight Spence. 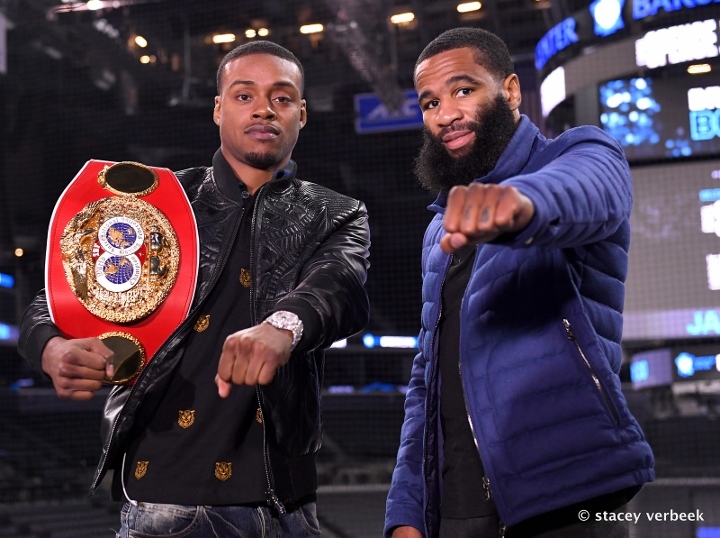 For Spence, he will be making the first defense of the title he captured back in May with an eleven round stoppage over Kell Brook in Sheffield, England. Even though Spence is a big favorite in the fight, Alexander is very confident that Peterson will also end his layoff with a victory and believes that his advantage in experience will be a key factor in the fight. “It’s gonna be an awesome fight but I’m going with my boy Peterson. Just because his skill level is different than all the other fighters Spence has fought,” Alexander told BoxingScene.com. Peterson hasn’t been active in recent years but he hasn’t let himself go. He has stayed in the gym, quietly honing his craft. That is one of the main reasons Alexander doesn’t believe ring rust will play a factor in the fight. “I believe ring rust could be a problem if you are not training and doing nothing for a while. But if you stay constant in the gym like Lamont then I don’t think it will play a factor,” said Alexander. Spence-Peterson takes place on January 20th and will be broadcast by Showtime.